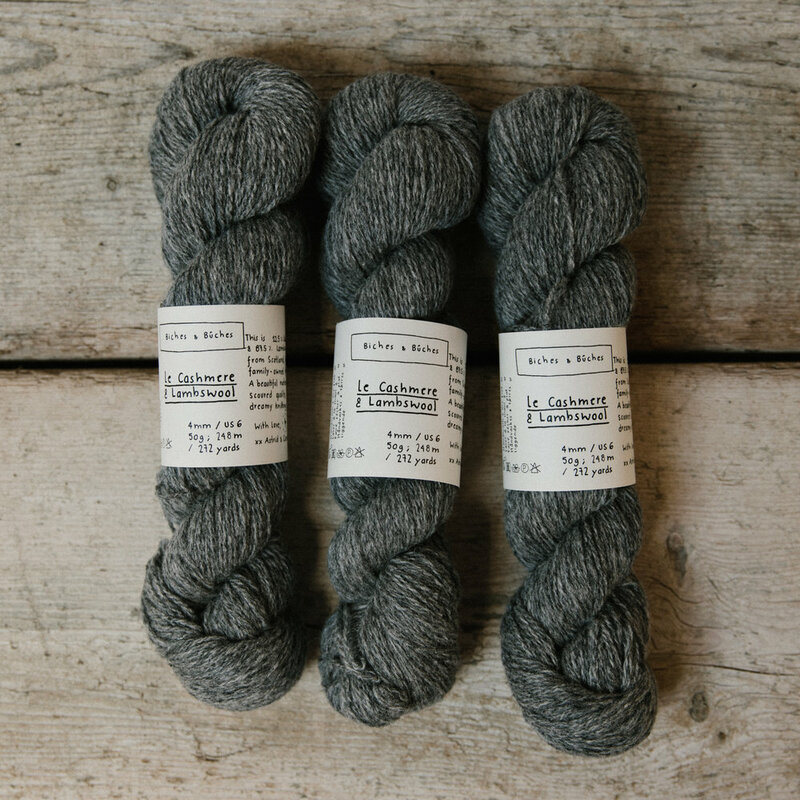 Biches & bûches cashmere & lambswool : take our le petit lambswool, and add even more softness and warmth that is called cashmere, and you get this squishy delight of a blending. 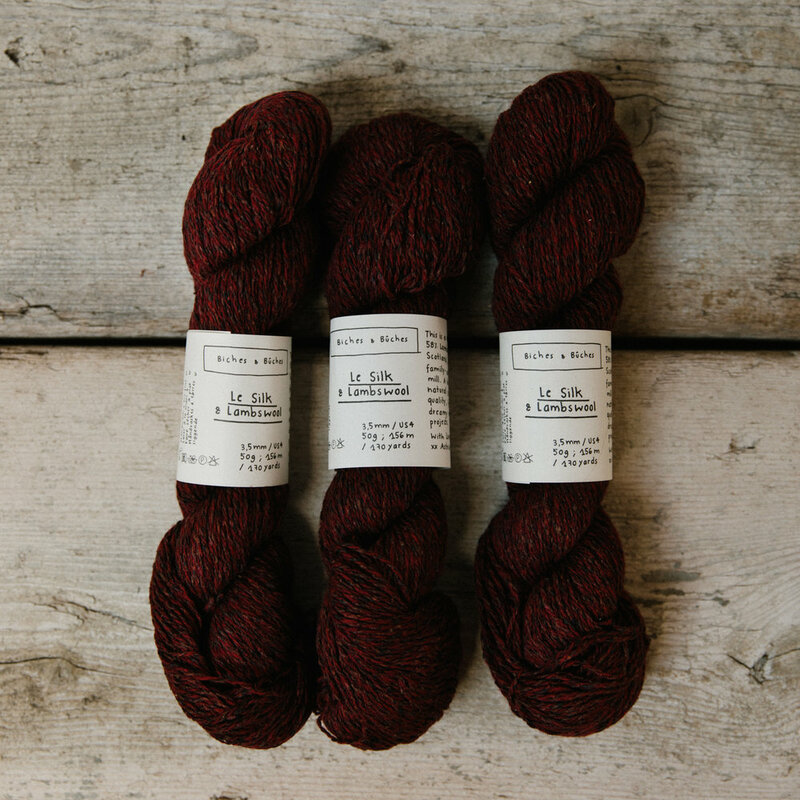 all our colors have a degree of tweed in them, giving always a touch of variation and sometimes even small exciting speckles ! 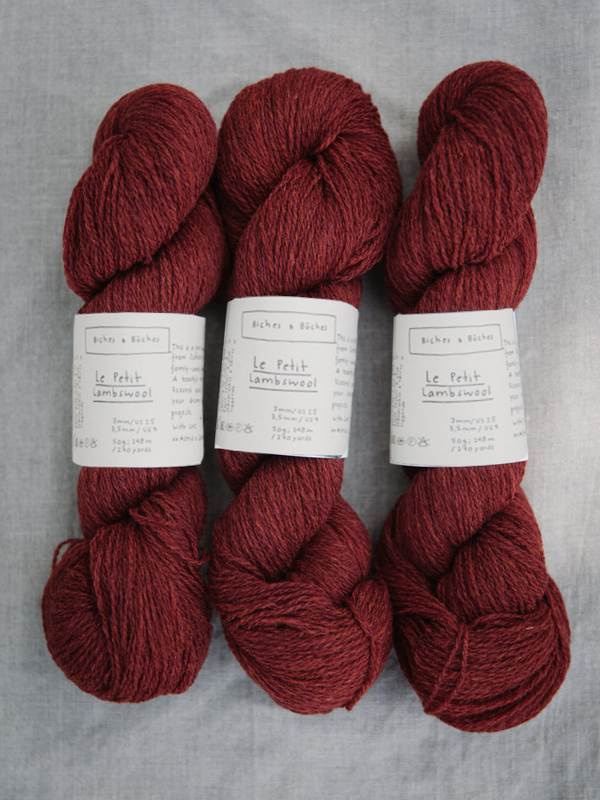 Le biches & bûches silk & lambswool : the blending of lambswool and silk is awesome. 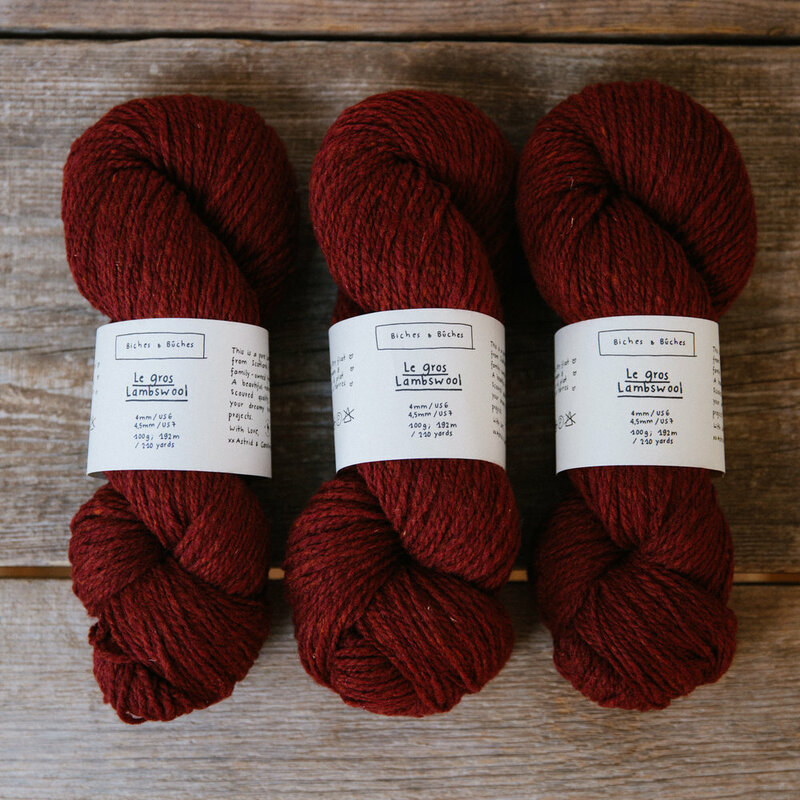 it is easier to knit with than pure silk, and the lambswool get that extra touch of rustic, warmth for winter and fresh for summer, with an exciting speckled color variation !